A slipped disc is when the soft inner part of the disc bulges through the outer layers. This prolapse may push on the spinal cord or on the nerve roots. The term 'slipped disc' does not really describe the process properly - the disc does not actually slip out of place, but it bulges out towards the spinal cord. A slipped disc occurs due to the breaking down of the circle of connective tissue with advancing age. This causes a weakness allowing the soft part to swell. Slipped discs most often affect the lower back but can also occur in the neck too, in which case symptoms will often be felt down the arms and into the hands. It is possible that hard physical labour can increase the likelihood of a slipped disc. They are also occasionally seen following trauma such as an injury from a fall or a road traffic accident. 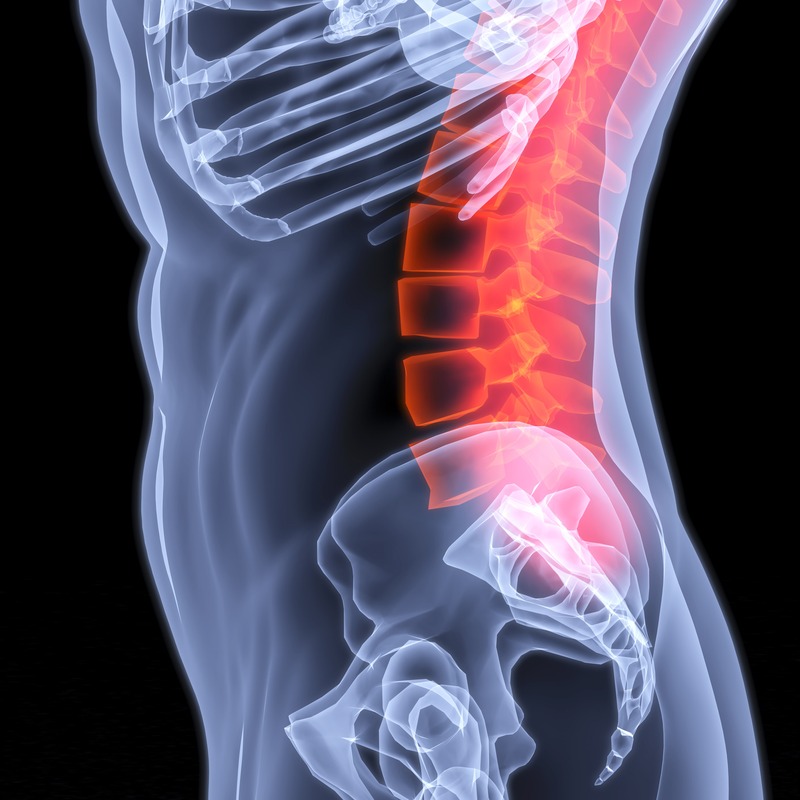 A slipped disc in the lower back is most often seen between the ages of 30 and 50. In the neck, slipped discs are most often seen between the ages of 40 and 60. The location of the symptoms of disc damage are different depending on which nerve has been affected. Most frequently there is radiating pain into the arms or legs. There may also be a disturbance of feeling in the limbs, such as numbness or pins and needles. Muscle paralysis and problems with bowel or bladder habits can occur, and are considered to be important symptoms to be dealt with immediately. Do Chiropractors treat Trapped Nerves? Many people come for Chiropractic treatment for their slipped discs simply because they find the NHS currently fails to provide any form of care other than pain relief medication and surgery. Pain killers just mask the symptoms (whilst anti-inflammatory drugs do reduce the swelling around the spinal nerves). Surgery is also an effective form of treatment for disc-type symptoms, but is often considered a last resort considering the potential risks and the other effective treatments available. Your Chiropractor will examine you thoroughly to determine the location of any suspected disc issues. If appropriate, you may be offered a referral to have a private MRI scan in order to help fully determine the degree of disc damage as well as helping to inform the best treatment plan for you. Through gentle mobilisation, very specific manual manipulation and a series of stretches, your Osteopath will help your body begin its healing process naturally. A return to comfortable sleeping, pain-free work and risk-free exercise should begin surprisingly quickly.